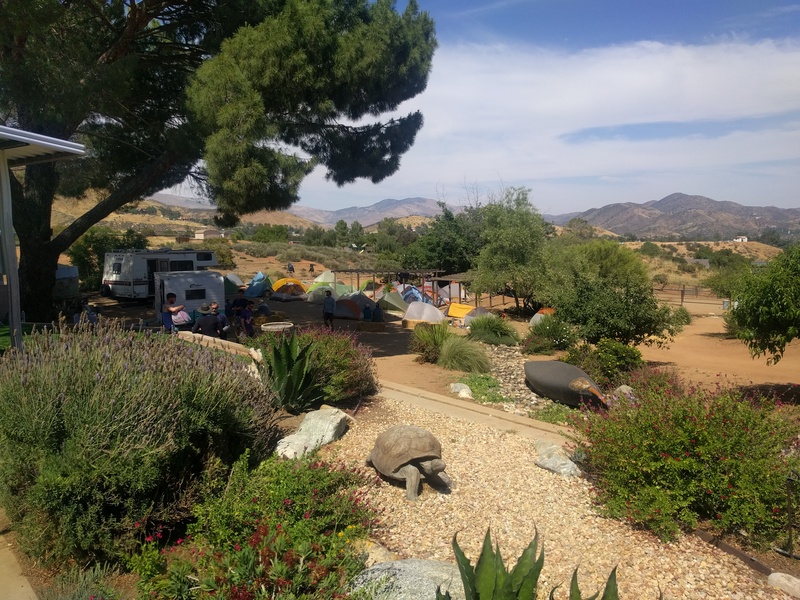 Yes, there is a hiker heaven, and it’s in Agua Dulce, CA. We started the day only 3 miles away, waking up early nevertheless to beat the heat and the crowds. 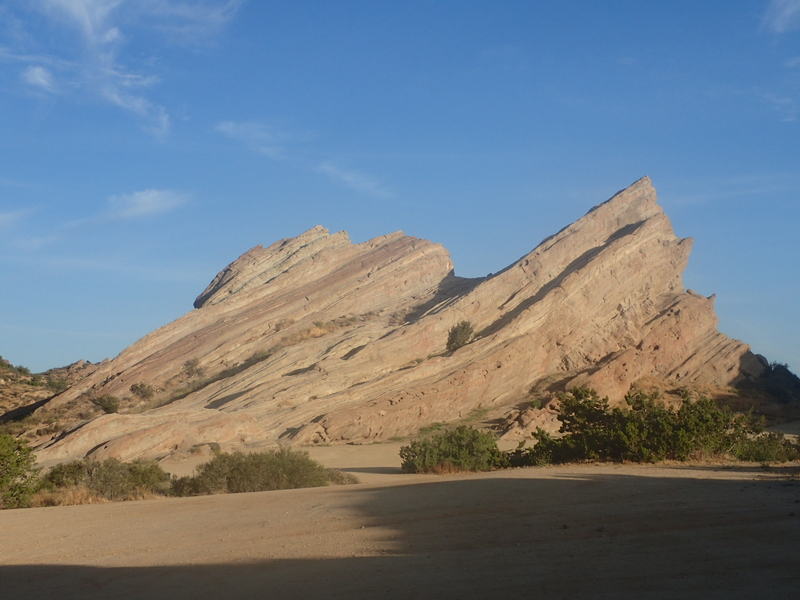 We strolled through the Vasquez Rocks, a site of interesting rock formations formed by the San Andreas Fault. Many movies and television shows have filmed in the area over the years, such as Star Trek and Blazing Saddles. By 7 am we made it to Agua Dulce and walked a mile of the trail to the home of the Sauffleys, also known as Hiker Heaven. Most of the homes out here are large horse properties, and the Sauffleys have opened theirs to the hikers, allowing tenting in their backyard amongst the dogs, chickens, cat, and horses. In addition, they have a single wide set up as a guest house for use of the kitchen, television, and bathroom. As a couple, we got one of the bedrooms. They do your laundry and give you loaner clothes, and have charging stations, a sewing machine set up, a huge information center, and package holding area. There are over 40 tents set up here! What a great place to stay.